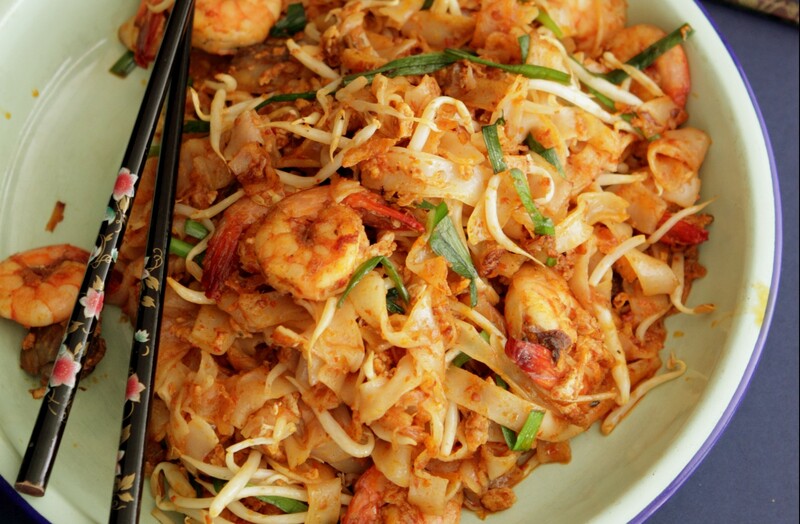 Another popular noodle dish, char kway teow has many fans among Malaysians. Like nasi lemak, char kway teow is cooked in a variety of styles across Malaysia. Heat oil in a wok or non-stick pan over medium to high heat. Fry the garlic until fragrant, then adding the chye poh and saute. Add the cili boh, stirring. Add in prawns, fry till lightly-cooked, then add cockles and rice noodles. Toss with the seasoning mixture. Increase the heat to high, stir-fry the mixture, then add the egg in the centre and drizzle with extra oil. Scramble the egg, then toss with the rice noodles. Add the beansprouts and chives, stirring, then remove from heat. Serve immediately. which include cockles or/and eggs and bean sprout. no other ingredients were added. the hawker at that time was the most sought after.